Photograph taken at Glasgow Royal Infirmary collection day in 1934. 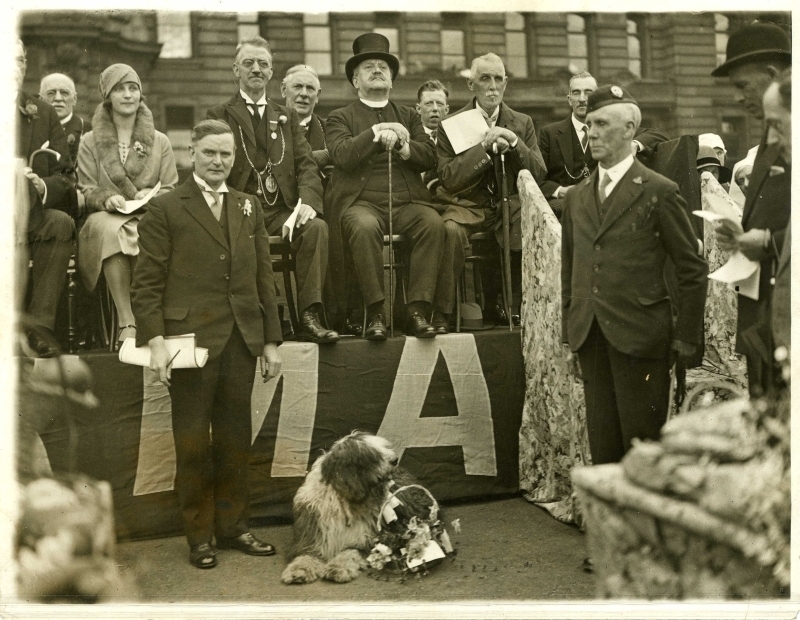 Charles McKirkle standing front left with a dog at his feet; Baillie Jeffrey to left of Minister; Minister McLeod; Ian Grant, standing front right (with bowler hat). Photograph given to Charles McKirkle by James Jeffrey, ex Baillie. “Glasgow Royal Infirmary Collection Day,” Heritage, accessed April 20, 2019, https://heritage.rcpsg.ac.uk/items/show/230. Description: Photograph taken at Glasgow Royal Infirmary collection day in 1934. 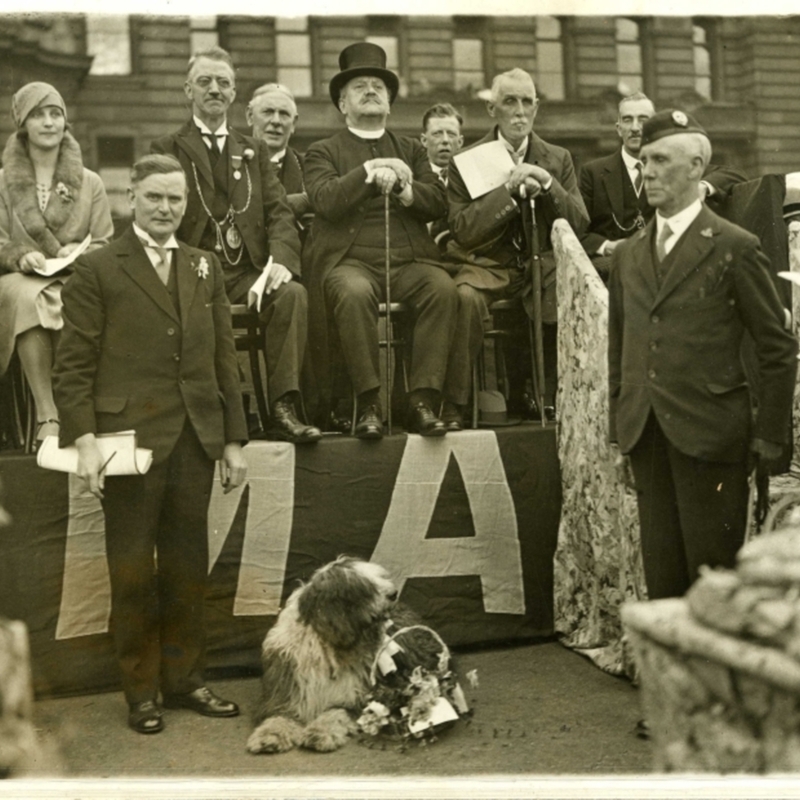 Charles McKirkle standing front left with a dog at his feet; Baillie Jeffrey to left of Minister; Minister McLeod; Ian Grant, standing front right (with bowler hat). Photograph given to Charles McKirkle by James Jeffrey, ex Baillie.